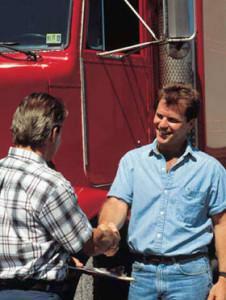 CDL Training for individuals seeking a commercial driver’s license (CDL). We are leading training school that offer a variety of CDL services, as well as job placement assistance. EZ Wheels Driving School can provide you with the quality training needed to become a professional driver. All of our locations in New Jerey hold one or more of the following quality standards: state licensure, PTDI Certification, or nationally recognized accreditation. Upon completion of the 1-minute application, you will be contacted by a local specialist to hear more details about their programs and opportunities. Employment of heavy and tractor-trailer truck drivers is projected to grow 21 percent from 2010 to 2020, faster than the average of all occupations. As the economy grows, the demand for goods will increase, and more CDL license holders will be needed to keep supply chains moving. Trucks transport most of the freight in the United States, so as households and businesses increase their spending, the trucking industry will grow. Entry-level drivers have a variety of opportunities to take advantage of including but not limited to: Regional Driving, Over-the-road (OTR) driving, Dedicated Routes, and Local Driving. Tell us why you would like a career in driving!